I would like to spread homeopathy and increase awareness about it. I would like iniciate people to try homeopathy and improve their health. I graduated from Homeopathic school "Simillimum" Belgrade, Serbia, 2011. I finished basic studies. I am homeopath self-employed. I like to write and practhise Tai-chi. 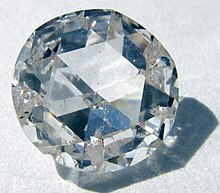 Adamas - Who Is The Woman That Needs A Diamond? Who is the woman that needs a diamond? Hello! Dr. Maja Letic, As a same professional friendship & HWC member i, send invitation offer in my beautiful country. Hope never be refusable if ur doctor of human well being's. So, write me dirctly in my e.mail.lachowdhury56@yahoo.com, thanks. Dr. Liaquat. Dhaka, Bangladesh. Thank you Maja, for your invitation and good wishes. Here we can share our knowledge and I am very happy for that. Thanks to send me friend request ..its my pleasure to be ur friend. persoinal e.mail dirctly. lachowdhury56@yahoo.com, wish u best of luck. Dr. Liaquat. HWC members profile pages 9/10 @ badge option in net. My heartiest welcome to HWC. Being an active member we do lot for the humanity. We hope that you share as many cases as you can to enrich us all with your experiences, observations and skills. wonderful to see you here. I hope you enjoy this community and get / give us a lot of knowledge.